By this time next year, local pet owners will have access to a broad spectrum of veterinary specialists here on Vancouver Island, reducing the current necessity of travel to the mainland when requiring specialized care for a seriously ill pet. 24/7 specialized care under one roof. 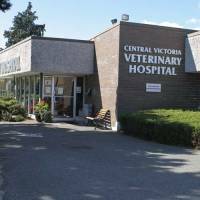 The Central Victoria Veterinary Hospital (CVVH) has received a development permit allowing for the hospital to almost double in size. 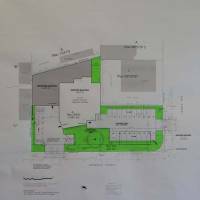 The new 402sq meter addition will be located at the rear of the property. By locating the addition there, on-going client services will remain largely undisturbed for the majority of the construction period. 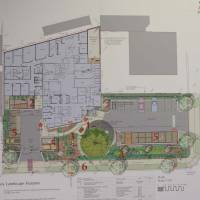 It will only be for that short period of time when the addition is connected to the existing building and the realignment of the existing layout begins, that CVVH clients will notice the impact. On-site parking will remain available during the construction process and, in fact, be expanded. The current structure was built in the 1970´s and is bursting at the seams. Behind the scenes are makeshift beds for animals, little portable kennel enclosures and shared office spaces for staff that were never designed for that purpose. “As Victoria has grown, the volume of the business grown. The expansion is required just to maintain the quality of care that we want,” states Dr. Kirk Prince, Medical Director. When Central Victoria Veterinary Hospital transitioned to provide 24-hour care, 10 - 15 years ago, it greatly impacted the emergency and critical care component of their work. Since that time, the pet population on the Island has increased sufficiently to warrant the hiring of veterinary specialists. 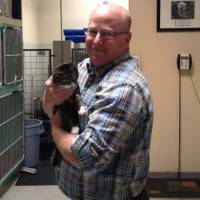 In March, CVVH hired a board certified surgeon. CVVH already has limited access to an internal medicine specialist but his time is being substantially increased. After that, plans call for a radiologist to be brought on board. Then a critical care specialist. All to be available when the new building is completed. CVVH even expects to bring on dermatology, ophthalmology and dental specialists as future needs dictate. In order to support these specialists in their work, the addition is necessary. Ninety per cent of the addition will be used for patient care. Not only will there be a need for specialized diagnosis and treatment rooms but also specialized equipment. The largest and most expensive piece of equipment is a CT scanner, currently being researched with a view to purchase. Dr. Prince´s favorite element of the re-design is the whole treatment area because the doctor´s station is right in the middle with visibility to all that is going on around them. While privacy will be protected, the doctors will be able to visibly monitor their patients through every stage of their diagnosis and treatment, something not possible at this time. Staff have been given the opportunity to review and comment on the initial interior layout and within the next few weeks the architect will finalize the design. 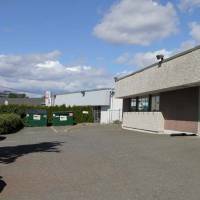 It is expected construction will begin in about 6 months time, once layout plans are set, a building permit is secured and the tendering process is complete. Dr. Prince is expecting the newly renovated and expanded hospital to be open by next summer and, possibly, the early summer if all goes well. Our animals deserve the best and Central Victoria Veterinary Hospital is rising to the challenge.